Welcome to the first joint MIX-CIPD Hackathon, Hacking HR to Build an Adaptability Advantage. Welcome to the first joint CIPD-MIX Hackathon, Hacking HR to Build an Adaptability Advantage. My name is Chris Grams, and I am the Community Guide for the Management Innovation Exchange, or MIX. Over the coming months, I will be one the people leading you through what we at the MIX refer to as a management hackathon. Since I’m sure many of you have never participated in a management hackathon before, in this post I’d like to give you a better sense for how this process will work and what you can expect. Chris has been a contributor to the MIX community for almost three years and is the President and CEO of New Kind, where he helps nurture communities in and around organizations. Polly is a bestselling author, speaker, television correspondent, and all-around storyteller. She is the co-author of the bestselling book Mavericks at Work and was a member of the original team of Fast Company magazine. Claire is responsible for research exploring different aspects of effective talent management strategies and manages the Institute’s Resourcing and Talent Forum. She also co-manages CIPD’s Employee Outlook research. 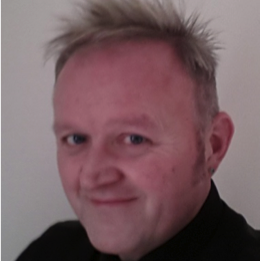 In his CIPD role, John has delivered projects on coaching, capability evaluation, soft skills, and E-learning. He has also led CIPD’s Business Savvy Research and is currently working on the future skills needs of L&TD and the role of innovation in HR. Perry is a skilled facilitator, coach and mentor and he is qualified in managing change and holds accreditations in a range of psychometric tools. Prior to co-founding the MIX, Michele was an Associate Partner at McKinsey & Company. Michele also spent five years as a graduate fellow at the RAND Corporation, advising policy makers on international security issues such as global terrorism. What is a Management Hackathon? We originally found our inspiration for these management hackathons in the technology world. In technology, a hackathon is a short, intense, coordinated effort to write a lot of software code in a short period of time. A management hackathon is also an intense, coordinated effort, but to develop useful hacks–bold, yet highly actionable ideas for reinventing processes such as strategic planning, resource allocation, and talent management. The "source code" for these hacks is then available to all leaders and organizations looking for a way around the status quo (and a real performance difference). As a participant in the MIX/CIPD Adaptability Advantage Hackathon, you will be collaborating with a group of some of the world’s most progressive HR and management practitioners. To ensure we can make effective use of the collective intelligence of such an elite group, we’ve designed the hackathon to be a hands-on, collaborative effort focused on generating fresh, yet practical, ideas. 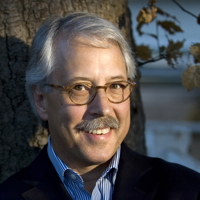 Our goal is to deeply explore the role that HR could play as a catalyst for increasing the adaptability of our organizations (Learn more in this introductory post by Gary Hamel). Our hope is that by the end of the process, which will culminate in activities around the CIPD Annual Conference in November, we’ll have generated many fresh and highly actionable ideas that you can try within your organizations to make them more adaptable than they are today. And for you personally, we hope that sharing this experience with a group of other passionate management innovators will help spark the ideas, provide the tools, and develop the personal relationships that will prepare you to light the fires of management innovation throughout your organization. Almost all of the hackathon activities will be hosted here on our collaborative hackathon platform. This platform includes many of the same web-based functionalities you are probably already familiar with from elsewhere on the web, including discussion forums, blogs, ratings, etc. Most of the actual work on the hackathon will happen asynchronously as a series of short 1-2 week “sprints.” Since there will be very few live activities (and those live activities we do have will be recorded so you can watch them later), it will be easy for you to contribute whenever it is convenient for you, no matter where you live in the world. Most of these sprints are designed to require less than an hour of your time to complete. I say designed, because you may find that on some sprints you’d like to invest more time. Perhaps the sprint addresses a subject you are deeply passionate about or where you bring great experience or knowledge. We love when contributors are able to invest even more time, but you may also find that you can complete some sprints in much less than an hour. That’s fine too. We've found that the short sprint model is ideal for busy people because it allows them to meaningfully contribute in small, manageable blocks of time and to drop in and out as needed. The graphic below will give you a sense for the rough timeline for the hackathon. The early sprints will go very quickly, as the intent is to rapidly build a “common” mind about the definition of organizational adaptability and some of the impediments to and key characteristics of highly adaptable organizations. Once we enter the “hacking” portion of the process, we’ll start collaborating in smaller hacking groups, and we’ll allow more time for these groups to do deeper dives into specific hacking tasks. We are excited to have a group of leading management thinkers and progressive practitioners joining us for the hackathon as coaches. These coaches will provide thought-provoking perspectives and practical advice to participants throughout the hackathon. 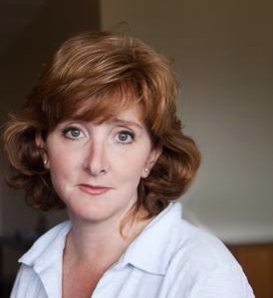 Deborah Baker joined Sky in December 2007 as Director for People. Prior to joining Sky, Deborah was Senior Vice President, Human Resources Worldwide at Burberry plc, responsible for all HR issues across the group. She has also help postions at Ford Motor Company, Schlumberger and Grand Metropolitan. 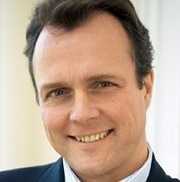 Julian Birkinshaw is Professor of Strategic and International Management at London Business School. He is co-Founder and Research Director of the Management Lab (MLab) and is the author of several books, including Reinventing Management: Making Smarter Choices for Getting Work Done. 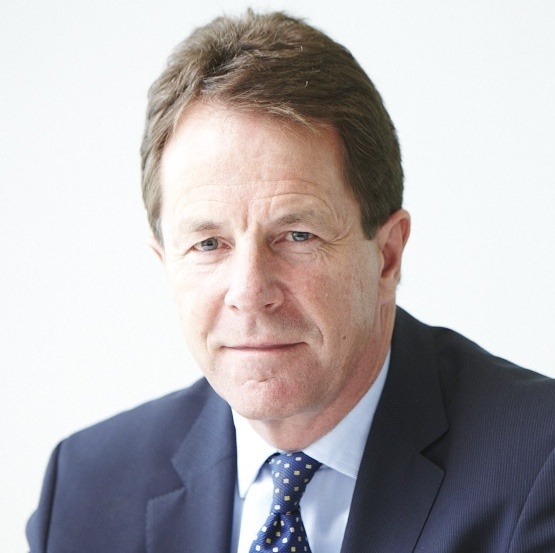 Peter Cheese joined the CIPD as Chief Executive in July 2012. He spent 30 years working at Accenture, culminating in a 7 year spell as Global Managing Director leading the firm’s Talent and Organisation Performance Consulting Practice. Marcia Conner advises executives in some of the world’s largest companies to unite technologies, analytics, and human power into the energy that drives best-around-the-globe performance. She is the former Vice President and Information Futurist at PeopleSoft, Worldwide Manager at Microsoft, and the author of three books. Cary L. Cooper is Distinguished Professor of Organizational Psychology and Health. He is the author/editor of over 120 books (on occupational stress, women at work and industrial and organizational psychology), and over 100 chapters in books. Stephen Frost is a globally recognized inclusion, leadership and communications expert. 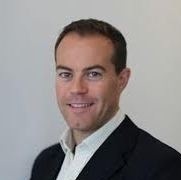 From 2007-2012 Stephen designed, led and implemented the inclusion programs for the London Olympic and Paralympic Games as Head of Diversity and Inclusion for the London Organizing Committee (LOCOG). 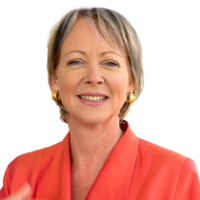 Lynda Gratton is Professor of Management Practice at London Business School and the founder of the Hot Spots Movement. She has written six books and numerous academic articles and is considered one of the world's authorities on people in organizations. Gary is a world-renowned author, speaker, and thought leader on the future of management. He is the co-founder of the MIX. Hamel has written 17 articles for the Harvard Business Review. His books have been translated into more than 25 languages. His most recent bestsellers have been The Future of Management and What Matters Now. 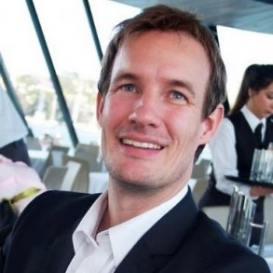 Joris Luijke is the VP of Talent & Culture at Atlassian, an Australian software company. Atlassian's staff engagement practices have been formally recognised over the past year with numerous HR awards, including the global HCI/MIX Human Capital M-Prize. Dan Pink is the author of five provocative books about the changing world of work—including the New York Times bestsellers, A Whole New Mind and Drive, which together have been translated into 32 languages. His most recent book is To Sell is Human —a fresh look at the art and science of moving others. Dr. David Rock coined the term ‘NeuroLeadership’ and co-founded the NeuroLeadership Institute, a global initiative bringing neuroscientists and leadership experts together to build a new science for leadership development. He is the author of 4 books including the 2009 business-best-seller Your Brain at Work. Paul Sparrow is the Director of the Centre for Performance-led HR and Professor of International Human Resource Management at Lancaster University Management School. He has consulted with major multinationals, public sector organisations and inter-governmental agencies He has published over 100 journal articles and chapters, and several books. 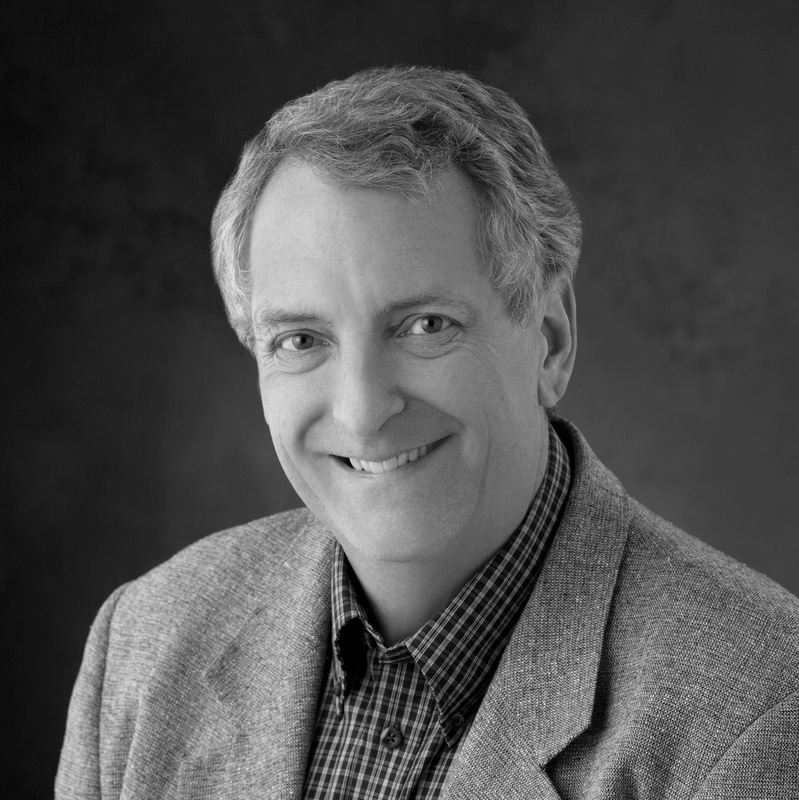 Dave Unlrich is a Professor of Business at the University of Michigan. He studies how organizations build capabilities of speed, learning, collaboration, accountability, talent, and leadership through leveraging human resources. He has published 20 books and over 100 articles and book chapters on these topics. We may also introduce other coaches along the way, so stay tuned. The current orientation phase will last until May 5, and in addition to reading through these introductory posts and watching the videos, we invite you to get involved in the discussion around them. Please register on the site in order to comment and participate in the hackathon.You may also want to fill out your profile or get to know your fellow hackathon contributors better. A quick tip: if you mouse over the name of a contributor in the discussion and they have filled out their profile, you should be able to easily connect to them using social media tools like Twitter and LinkedIn. You can also choose to “follow” contributors so that you’ll be alerted anytime they post new content. If you have additional questions you’d like me or the other hackathon guides to answer, please feel free to add them below. Otherwise, look for more instructions to come via email over the next few weeks. Thanks again for joining the Hacking HR to Build an Adaptability Advantage Hackathon. We are excited to have you on the team. It is my experience that everyone likes change, as long as it does not affect them. Managers want their employees or other departments to change. Even CEOs often expect others to change while they stay within the boundaries of their comfort zones. We need to develop and use effective assessment tools which lets each person see how much adaptability they have exhibited in the past and how much adaptability they are really willing to put into play in the near future. So great to be in this 'conversation'! Neelesh - really thankful that you brought 'complexity' into the MiX of topics and focus areas. I noted it in my opening comment to the first post so was glad to see it resonates with others! My hope is that its concepts can be adapted into this discussion without alienating anyone by what can be overwhelming to understand. (maybe that was just my experience at first!) It is truly something we in change management have to get our arms around - of course it is not something anyone controls by nature - but the concepts of complexity are in line with the goals of this collaboration - adaptability, agility and needed openness for innovation and change. Very interesting to read the early comments so far. As I read through a lot of valid and interesting points, it occurred to me that in the rush to be adaptable, we need to make sure we take people with us. As someone who has been in SMEs most of my working life, change is completely natural and pretty much a given. There is no status quo. What we did last week wno't necessarily work this week. But I have observed in others - and experienced myself - something I guess we could call "change fatigue". While change can obviously be energising, as humans we (or at least some of us!) value stability and predictability at least some of the time. We need to ensure that our adaptable organisations are providing the necessary support to the people who make them adaptable. Some great comments here and shows a really strong start made for this exciting venture. So for my contribution on why I think adaptability matters now, I want to look into me, you, us as human beings who happen to be in professional sphere fulfilling some sense of destiny and purpose. From the beauty and skill of art to the paint by numbers approach, we have an amazing ability to connect, share and proliferate learning. Learning that helps others with different psychological make up, intuitive drive and applied cognitive ability. Helping others to succeed is one of the more glorious aspects of human nature that appears to be lacking in the world of work, corporate being and professional pursuits. We seem to have become fixated on personal satisfaction through achievement only and not on shared, positive and generously-natured impacts we have on others. We need to adapt personally to the challenge that this personal-only success has become vacuous and seems inappropriate at a time when we need more collective effort. This personal and then collective adaptability matters now more than ever as we head on in to both a richer bounty of opportunities yet a shadow of challenges, a drain on resources (natural and monetary) and a feeling we've peaked about this thing called work. Adaptability is a key attribute in ever faster absorption of insight; an enhanced rate of deductive analysis and a splicing of intuition and experience. We need to be personally adaptable in every day life. Complex societal problems - often appearing in cyclical and despairing circumstances - have impacted on how we view work. Work has lost much of its feeling of being a craft, a purpose, a calling. It feels like work itself needs to go way beyond transactional existence to earn a living to pay for your way in life. We as individuals need more from work than a paycheck. Work therefore needs more stimulus for us as we become ever more used to wealth and opportunity that has come with improved standards of living for many of us. Our striving to belong, make an impact and leave a mark manifests itself as much in our professional endeavours as it does our wider being. So we - personally - and then - us professionally need adaptability to become our truest "norm". The pursuit of stability as a goal is surely no longer feasible (the "it'll be ok when all this change has settled down" mentality). So I guess we all need to refocus ourselves individually and collectively on the epitome of being adaptable. I for one view this opportunity now as the chance to refocus. Be positively disruptive about the way we operate as ourselves at work and the impact that has on the place / entity we call work. Finally, adaptability for me is about the firmest grasp let the loosest grip on ourselves and what we do as a calling. It's time to hack our thinking and influence our actions and be adaptable by nature not by exception. I think you make a really important point - we definitely need to highlight and share some of the excellent practice happening in SME's. I am currently working on some CIPD research looking at entrepreneurial practices in different sized organisations but have some excellent examples from SME's. Once published, I'll share some of the insights here relating to agility and I have also asked some of the case studies to join our discussions here. Great - I'll keep an eye out for it! Wow there has been such contribution and content generated already and I'm going to put my hand up here and say its a lot to take in! It would be great if the coaches/our support could take a look at what themes are emerging as we go so we can build and,where it works, connect our thinking and generate new insights. And also challenge what we've come up with to explore it further? We can then capitalise on the momentum and keep it going. Hi Kirstie! Thanks for the suggestion! I just saw a similar suggestion in the other thread around Gary's post, so I'll update you on our plans here as well. At the end of each part of the hackathon, we intend to summarize the discussion and some key takeaways. This helps those who weren't able to follow the entire discussion closely keep up, but also, as you say, it helps identify key themes that are emerging that might inspire us in later parts of the hackathon. Also, in some of our later sprints, you won't see as much of this free-flowing discussion like we are having during orientation (which we think is nice because it is almost like "cocktail conversation" that helps people get to know each other better), but instead smaller, more directed discussions around specific ideas that contributors have brought into the process, and we'll be synthesizing during these sprints as well. Thanks again!! Thank Chris. That challenges my patience and normal approach which is good! :o) A little patience in these things will be helpful, allow some reflection and synthesising of people's views during non-thinking time! Thanks for getting back to me. Adaptability is an interesting construct, in that it assumes that as individuals we need to adapt. many of us have done that, but I also wonder if it is wider than adapting, but about approaching the challenges we face from a very different perspective. HR have had a great history of changing name and label, with minimal changes "under the hood" - its not a change of name that bis required to "adapt" but a fundamental shift to be more commercially aware. If HR wants to change - then our paymasters need to demand change. CEOs need to be clear to us and other functions of their vision, and requirement for structural and cultural change. for as a function we can only "tinker around the edges" without CEO commitment. Now of course we can lead that change - but how many HR managers have weekly meetings with the CEO on a one to one basis? In one role I had as head of training, at 5pm on a Friday I would take coffee to the CEO office and we would talk about business. Due to this approach I was listened to, and the CEO adopted many of my suggestions. I would like to hear how others engage their CEO in an informal but regular way - for this is sowing the seeds of successful change. It seems to me that a richer and more nuanced exploration of adaptability would need the implements of two new fields of study – complexity theory and integral theory. Both these fields have ‘hit the scene’ in the last 3-4 decades and hence it is not surprising that they are not regularly ‘used’ in the mainstream. They defy the usual classifications of academia and sit somewhere between the natural sciences, the social sciences, the humanities and philosophy, and yet they cover diverse terrain and uncover deeper and richer mysteries of the human condition without being tyrannized by any specific ‘school of thought’ or paradigm. In that sense, they are perhaps both cross-paradigmatic and trans-paradigmatic. 1. Determinism - the notion that things can be predicted by a simple set of equations. First quantum mechanics and then non-linear chaos theory have proven this is not necessarily the case with reality. 2. Reductionism - the notion that the whole can be understood by analysing the parts only. General Systems Theory has debunked this with its deeper understanding of holism and emergence. 3. Objectivity - the notion that reality is something objective and independent of the observer. Both quantum mechanics and cybernetics contend that all knowledge is subjective, and that there is no reality independent of the observer. Just as Complexity Science is a vast subject, unfolding every day with new insights and breakthroughs, so is the field of Integral Theory. Integral theory is a philosophy promoted by Ken Wilber that seeks a synthesis of the best of pre-modern, modern, and postmodern reality. It is portrayed as a "theory of everything," and offers an approach "to draw together an already existing number of separate paradigms into an interrelated network of approaches that are mutually enriching." It has been applied by scholar-practitioners in 35 distinct academic and professional domains as varied as organizational management, art, and feminism. For the purposes of this Hack though, I would like to draw our attention to two key concepts: the Four Quadrants, and Spiral Dynamics Integral. If the above resonate with Hack participants may be the next step would be to gather together on a skype call or web-conference to share our reflections and agree how to proceed to Stage 2 of the Hackathon. I am happy to organize such a web-conference. If we have to have coaches (and I'm not sure that we do - I'd have preferred the opportunity to role model a more adaptive approach, which I think is necessarily more flat and democratic too) I'd have gone for John Kotter. I've had concerns about his 10 step process for some time but I think his recent HBR article, Accelerate, brings this right up to speed. Jon, thrilled you liked Accelerate! in HBR. I actually work at Kotter International with John Kotter. We work with clients to implement the concepts outlined in Accelerate!, which sound to be quite consistent with the goals of the Hackathon. From what we are seeing at our clients, the results are what you would expect when you can tap the leadership capabilities of people at all levels of an organization to accomplish the key goals of the entire organization. Having just learned about the Hackathon and MIX, I'm looking forward to bringing some of our experiences to the challenge. Thanks for mentioning us. Looking forward to learning from everyone. Hi Jon! Glad to see you here, and great to have a hackathon veteran like yourself joining the effort. I appreciate your feedback re: coaches and we definitely hear you. My hope is there will be plenty of opportunities along the way for someone like you to take a leadership role, especially since you already understand the way the process works and are a leading voice in this space. We are very excited about this hackathon and the idea of bringing two great communities together--CIPD and the MIX! Look forward to working with you again!